Whether you would like to explore the city by bus, on a segway, by boat or walking: Zurich offers a wide range of themed city tours for every taste. Make the most of your stay in Zurich and plan a special activity for your trip. 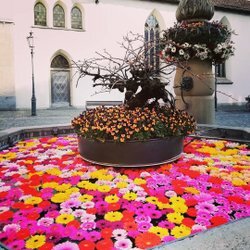 Get to know the city on a guided tour, join an excursion to famous Swiss sights or book an unusual, creative or competitive activity with your travel companions. Be sure not to miss an excursion to Switzerland's fantastic mountains and get a taste of the famous Swiss cheese and chocolate. 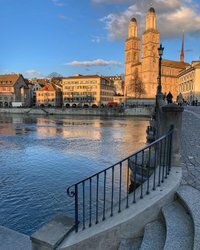 Would you like to make your Zurich trip unforgettable? Book one of the unusual, creative or competitive group activities and experience something new: cheese making, scavenger hunts, rope park adventures or a whisky seminar – the possibilities are endless. 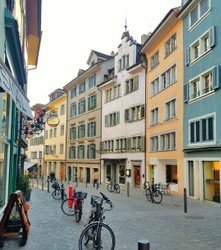 On these special city tours, guests discover Zurich in a completely different way. These tours are particularly suitable for groups of work colleagues, family or friends. In Zurich, gourmets have an array of culinary guided tours and activities to choose from. In Zurich, men can really live it up as they bid farewell to the groom-to-be’s life as a single. The Tourist Information at Zurich Main Train Station provides competent advice and useful insider tips.